There’s orchard grass in that lucerne but it is shorter and mostly dormant now. Mineral-rich limestone soils grow tasty lucerne which makes healthy animals and great beef. 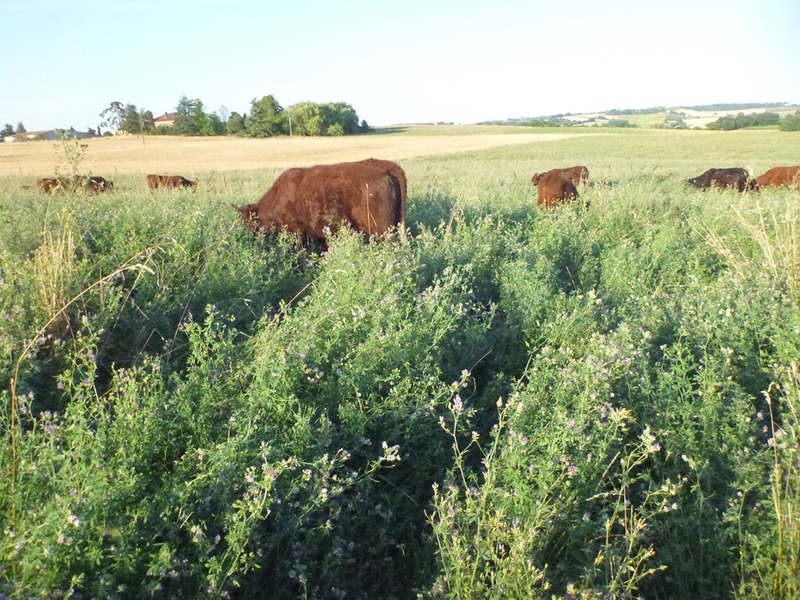 Without the base limestone the lucerne wouldn’t grow so well and without the lucerne the beef wouldn’t be so tasty. The flavour in each bite of steak owes a lot to this rich forage, which needs good soils in order to work so well. Beef from rocks, or as the wine folk say, terroir. But it all needs good management. We work on all three layers. 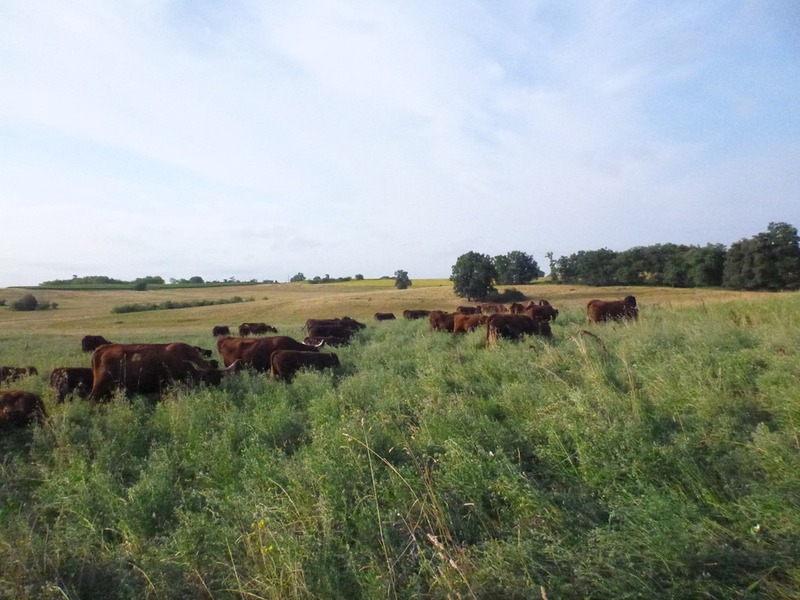 Our tall grazing system keeps adding to the soil fertility, and the plants respond by being richer and more productive. Our cows eat very well which leads to a happy herd and tasty beef. Looks like you got this rotational grazing thing figured out pretty good Brent. So, excuse the pun, you raise beef that rocks! 🙂 I always appreciate your explanations. It turns out that limestone is good for something more than grapes–good wine AND good beef! It really is true! I didn’t figure this out until a few years ago. I believe it’s called Karst geography. I could never figure out why the grass here in southwest Wisconsin is so powerful, more powerful than where my parents moved from in flatland Illinois with eight-feet deep black prairie soil, but it’s true! My parents foundered, (laminitis), several horses before they figured out the grass in May and June is just too rich to graze horses. Gordon, it doesn’t feel easy. Droughts are a pain here and you need that hay buffer. In the UK they’ve had issues with rain and the pastures getting destroyed. It is going to get tricky as we raise the number of animals beyond a hundred over the next couple of years. Now our landscape is much softer than the Karst in those photos but we’re in the lowlands here and things are more rolling than rugged. Thanks for telling me that, it is good to know.